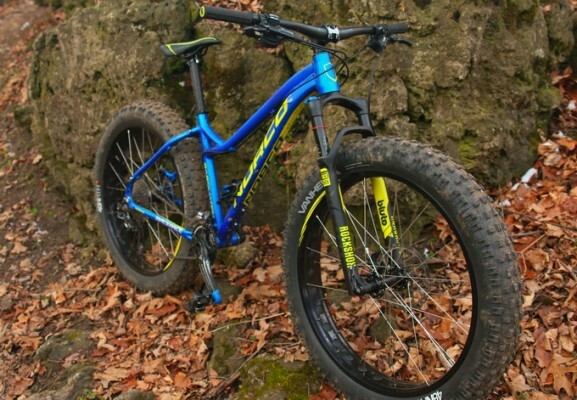 The Sasquatch is Norco’s first fat bike that uses a suspension fork. Compared to the Bigfoot line, the Sasquatch’s geometry has been tweaked to accommodate the RockShox Bluto. 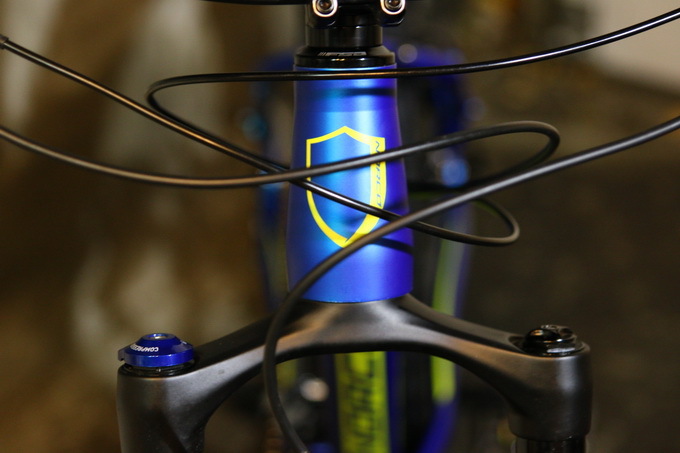 The 6061 hydroformed aluminum frame has been designed with a low stand over height regardless of size. Compact and sturdy, the relatively low (313mm) bottom bracket height is key to both maneuverability and stability… yet it’s still high enough to clear most logs. 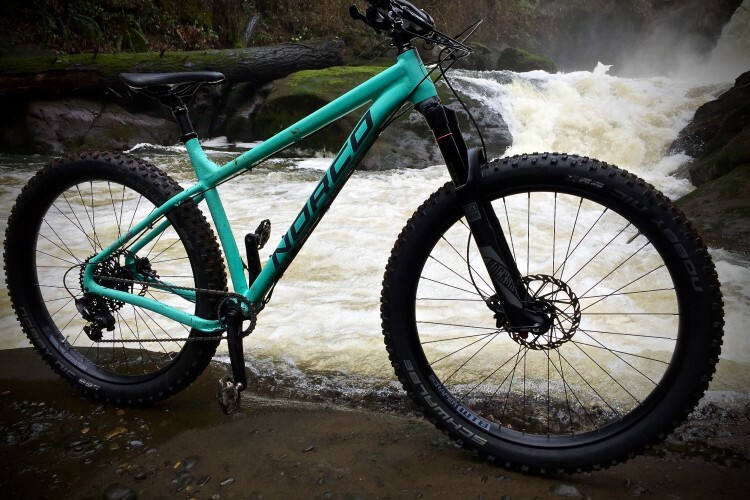 Key components include the fat bike-specific FSA Comet cranks with a lower front chainring gear combo (36/22), allowing you to trudge along as slow as you’d like. The build spec below is respectable for a bike priced at $2475 USD. 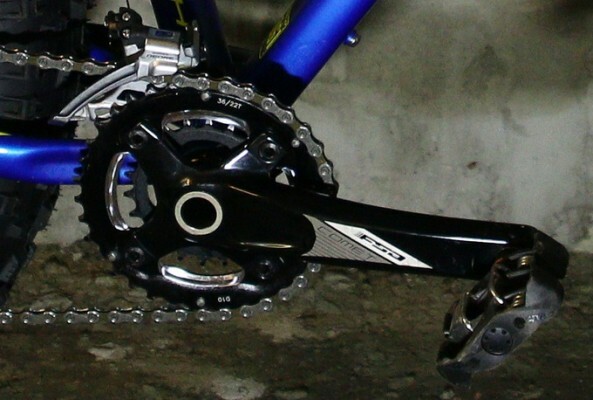 A mix of Shimano SLX and XT for the driveline is both durable and economical for most, and offers room for improvement if you desire. 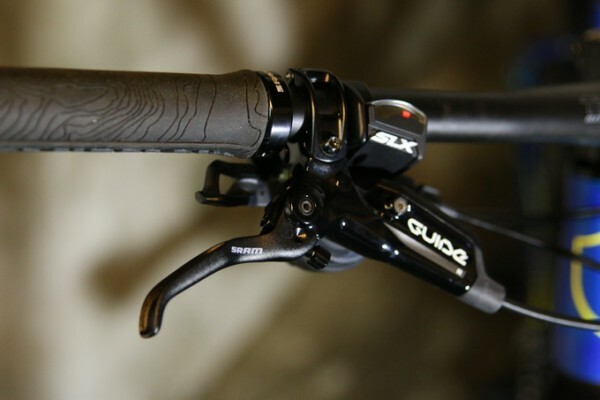 SRAM’s new Guide R brakes are your chicken switches. 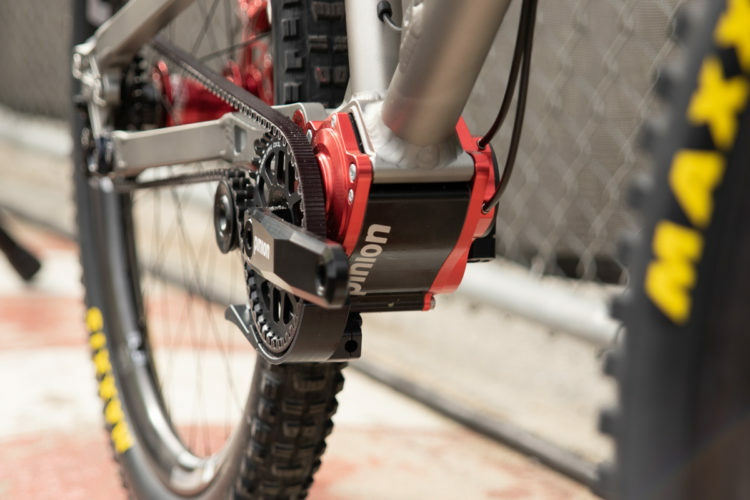 According to Norco, they choose the Guides over brakes which use mineral oil. SRAM is of the belief that the DOT fluid is not affected by cold weather. As far as fit goes, this medium-sized mythical monster is designed around a 1118mm wheel base with a 69 degree head angle and 73 degree seat angle. 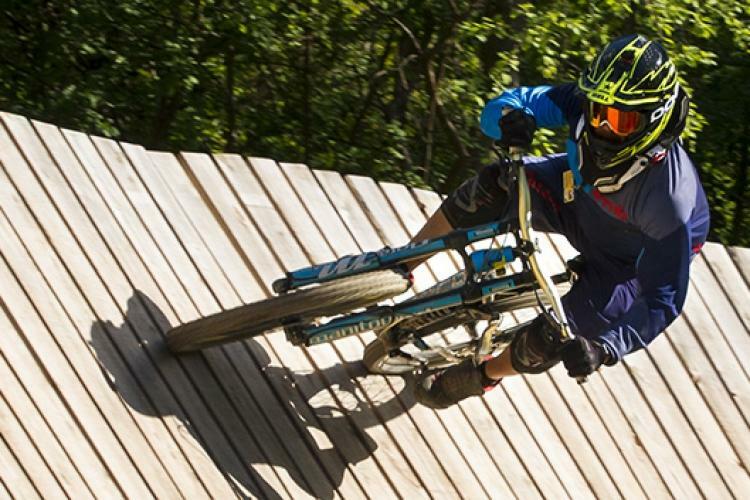 To keep things in perspective, the Norco top model XC racer has a 1088mm wheel base, 70.5 degree head angle and 73.5 degree seat angle. 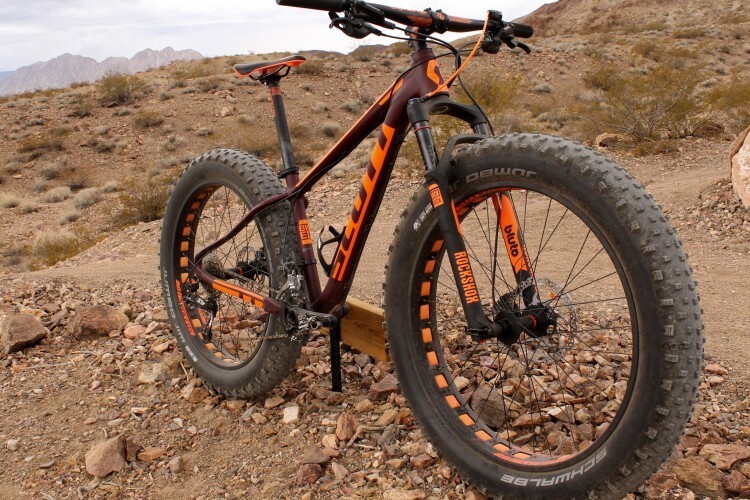 So other than larger wheels, The Sasquatch is not that much longer than one might think. In fact, the medium size that I know I fit felt a bit long with the supplied 90mm stem. I swapped it out with a 50mm stem. When setting up the Sasquatch I followed the recommended air pressure for the Bluto as per RockShox’s customary pressure decal found on the left side of the fork. Other items that I had to tweak included the brake lever reach. I tend to leave very little freeplay on the lever, and prefer full braking near the top of the stroke. It was easy enough: with a fresh bleed and adjustment of the reach knobs I was good in minutes. I wanted a balance of ultimate grip and good rolling resistance. In the case of the the Sasquatch I started at 8.5PSI and played around until I hit a happy medium at 7PSI. I did try lower pressures, but on sharper, squared-edged rocks I started to feel light rim strikes. 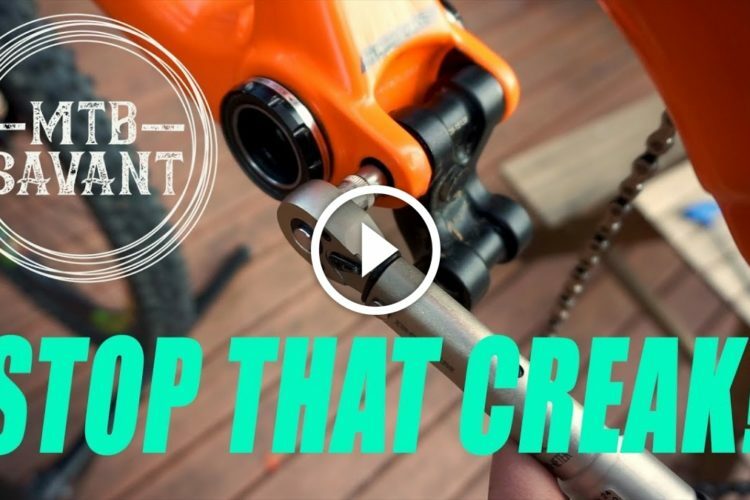 Having a good understanding on what I want out of a bike, I was happy to change to a shorter stem right off the bat. After a few initial rides I then swapped out the bar, grips, and seatpost/saddle. Yes I am picky and I prefer carbon in these spots. 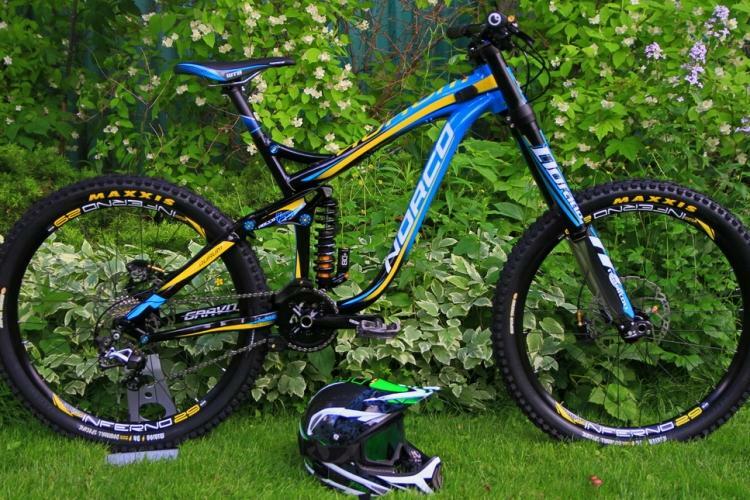 All of these items are the new Ritchey Trail line of parts, and the saddle is the new WCS Vector EVO Streem saddle. The alloy bars and Norco foam grips just weren’t doing it for me. 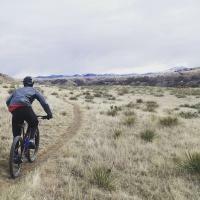 At the time of writing this introduction, there was very little snow, but with lots of cold weather and rain that melts the snow and freezes the terrain. 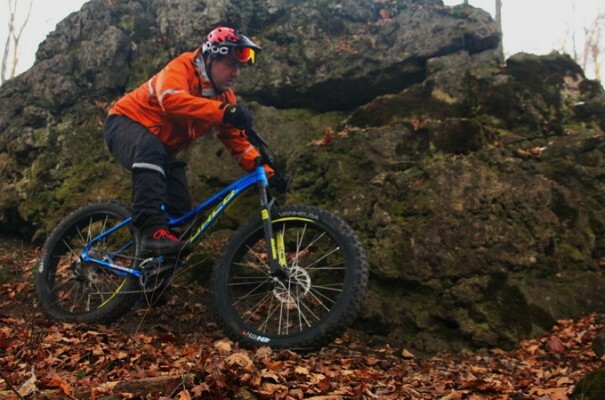 Riding mostly around the Milton, Ontario area, most of the trails that I rode had a high content of rock that a set of 45NRTH would handle a bit better. 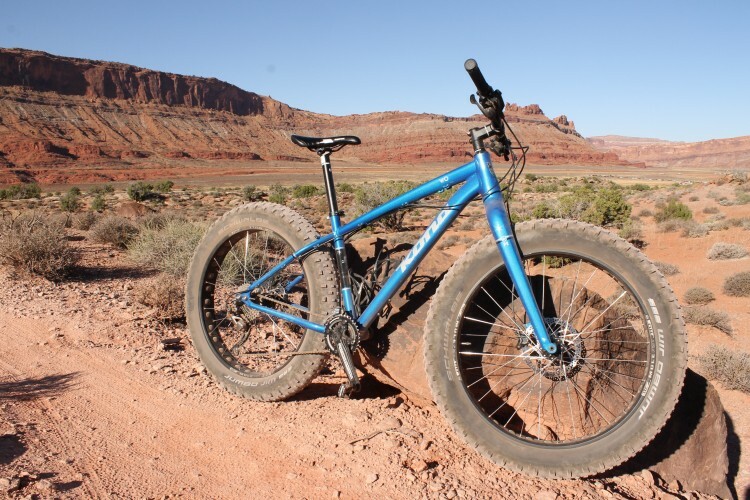 So swapping out the tires to the 26 x 4″ 45NRTH Vanhelga is something that I am evaluating right now. Out of the box the Sasquatch is a decent-running bike, and only time will tell how well it will hold up. But so far on the rides that I have taken it on, I’ve been impressed with how well it rides. The mix of components work well. 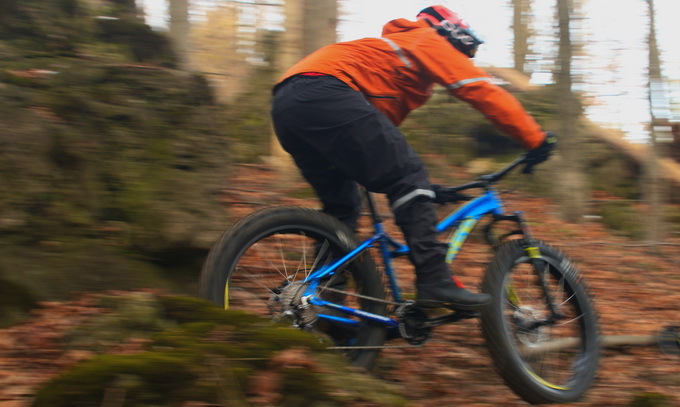 I was surprised how well the bike handles itself in tight singletrack terrain. The Bluto up front does a lot to extend the fun factor over rocks, while the XT shadow plus rear derailleur keeps shifting along nicely. While friends of mine where howling along with their brakes every time they tried to stop, I was pleasantly surprised by how well (and quietly) the SRAM Guide R’s worked. Stay tuned for the long-term review! I’m digging how the graphics on the Bluto match the bike. 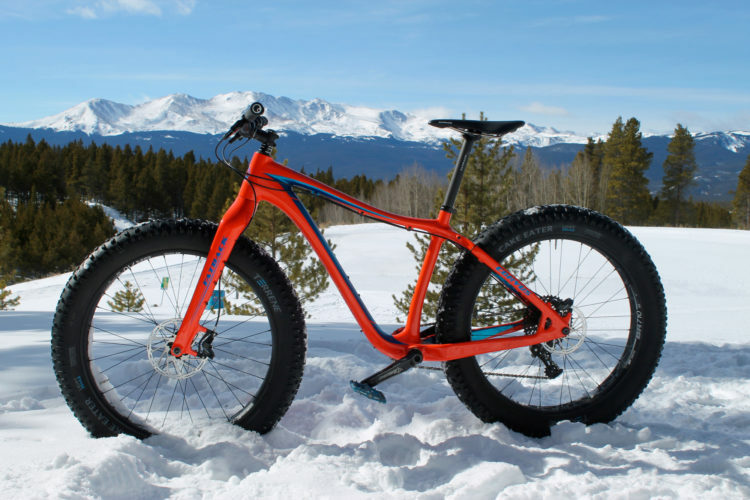 That’s a nice looking fat bike! My favorite part of the review: The Guides were silent. I’m looking to pick up a pair of those while I build my bike over the winter. 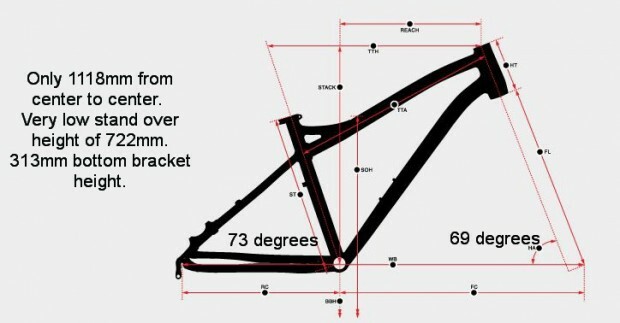 It is 32ish…I plan on tossing on a lighter saddle post also from Ritchey and a lightweight cassette from either Sram or Shimano, Dreaming of a lightweight wheelset that can go tubeless…Then we are looking under 30lb..
My size small was 34lbs 4 oz stock on the digital scale at the LBS. I own a size large it weighs 16.5kg I’m 185 cm tall. I changed the stem to a 50mm and changed the grips as they where to hot for New Zealand riding. Ditched my giant reign and haven’t looked back, you need to ride a fattie for about 5 rides to start to see how fast you can go insane grip. Try to stay off the brakes just hang on.